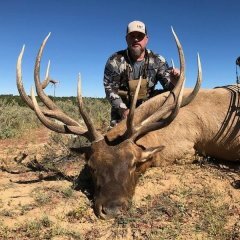 Hello everybody, i need some help, i am a hunter from Spain currently living in phoenix until February, i have got a over the counter deer tag for bow in December. i have been looking to go hunting to unit 22 or 21, just because are close to where i live, both have good acess (i don't have a truck to go far off road) and i have just weekends to go hunting or scouting. Already have been scouting three weekends, hiking and camping in unit 22, first one , i went to the left side of highway 87 in Sunflower, i hike about 7 miles and camp in high spot to glass, i didn't see any deer but a lot of tracks. Second time i went to Tonto basin, right side of the 188 rd in the way of Roosevelt lake, i saw just two mule does in the hills but i did see and a lot of track . the 3ª weekend i crossed the rio Verde just below the horseshoe dam and hike a few mile into the Mazatzal wildenest, i saw again just too doe mule deer and 2 doe White tail deer, but i didn't see many tracks. This weekend i will try 21 to go to the left side of Seven spring road, trail 245 in Onx map, near to Camp Creek. It is been very difficult to me decide where to go, i am not looking for a big trophy, i don't mind if it a mule deer o coues, i just want to have some fun and at least try to spot and stalk once in Arizona before i go back home, i am already having a great time jus scouting such a nice mountains. If someone can give some help, not saying that i want a honey hole but meaby some better areas to look for or any other advise will be great. my brother is coming all the way from spain just for the hunt and it would be great at least see some bucks. we will try to film the hunt and posted in our hunt channel in youtube " Certeros Ballesteros " it is all about hunting and fishing video in Spain. thanks all! 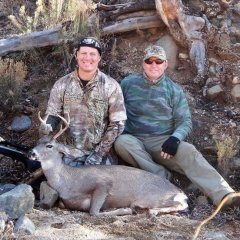 COUSE DEER- what are the best units in AZ Planning a AZ couse hunt to finish my North American deer slam and looking to harvest a respectable mature buck. Not asking for any ones honey hole just wanting some honest opinions on the best units for trophy quality , population numbers , as well as public access. Thanks for your time! Unit 10 Early Archery!! -Big Bo Ranch?? Well after 11 points I finally drew my first AZ elk tag and I couldn't ask for a better opportunity with a unit 10 early archery tag!! I have hunted 10 before for deer but only a few times in the Kiabab national forest. My dad shot a bull way back in the day on Mt. Floyd but other than that I feel pretty unfamiliar with the unit. My dad and I are planning on doing a lot of scouting once I finish up my last semester of college in May. We always put our work in and aren't afraid to put miles on the boots and hours behind the glass. My main question is if it is worth purchasing the Big Bo access permit. Im leaning towards it right now due to the fact that the ranch encompasses over half the unit in prime elk country, however, after doing some searching I've also seen some people mention it may not be worth it with the amount of outfitters on it. What are your guys opinion? Also, if anyone is familiar with the unit is there any general areas I should start looking? Im not asking for specific areas and understand if I don't get a response to that question as we all have put the work in to find personal spots and Im not worried that I wont find elk. Just nice having an idea where to start the search. Right now we are planning on checking out the flats south of the 124 and putting some cameras out on our first trip. Thanks in advance for your input!! So me and my dad are putting in for deer this year in unit 3a/3c. I have hunted the area before a couple of years ago, but it was for elk not deer. I am sort of familiar with the area but it has been 2 years since i have been back. I would like to hear from anyone that has had any luck up there and maybe point me in the right direction. I am not looking for anyones honey hole or hot spots i would just like a general knowledge of where a good area would be to start scouting. After I get done with school, I plan on making a few trips up there and setting up some game cameras. Just any advice would be helpful to maybe stay away from the burnout or what not. And it is the later october hunt. Been doing alot of fishing the passed few weeks thought I would share some Photos. The Sheep encounter on the trip with my brother was incredible wiith I knew how to get video up, had some young ones fighting over one tree out of whole desert for shade. So I was wonder in if anyone knows if it is legal to use the Vortex V-Brite Reticle to take game in Arizona. I read the rule, I think it is okay but not sure. Getting a great deal on the scope to put on a new gun purchase. I just need to be sure I am legal. Thanks in advance. I thought I would share some of the bird photos I have taken the last couple of weeks. Unit 10 Cow Hunt Early Dec.
My son and I are heading up to unit 10 for the Dec. 5 cow hunt. We were able to get a couple of weekend scouting trips in earlier in the year. But now with snow I understand the elk move out of areas we scouted and are hard to find. Has anyone recently been up there and can lend us a little insight about where we could go now? with back drop of area I was glassing more of the area I was glassing where I found him laying, propped his head up with sticks where I found him, 100 yards from where I shot him side view So, my friend Colton already posted a picture of this buck last night, but here are some more pictures along with the story. I have stalked 1 mule deer and a bachelor herd of 3 mule deer this season, and in January and last August I have stalked a total of around 30 bucks. Everything from spikes to giants. I stalk any buck I see that is within a couple miles if I can get to it before dark. I am not too concerned with antler size, I was just blessed with a great buck. I was glassing for a few hours like I do almost everyday of hunting season. As it was getting a little warmer I was paying more attention to bedding areas. I finally caught a glimpse of a buck standing and feeding in a bush at the top of a hill about a mile away. I watched him walk in between a few bushes and never emerge from the other side. After watching for about 10 minutes, I figured he bedded down right there. He was in an area the wasn’t too thick and I could see I would have some shooting lanes if I went and waited for him to stand from his bed. So I began my stalk. I went to my truck and dropped off my tripod and my Vortex 15s. I grabbed a couple waters, my home made Sneaky feet (I made them out of automotive headliner carpeting, string and hot glue so I could slip them over my boots, I was sick of walking through the desert in my socks, and this was the first time I used them and they worked great, very quiet), painted my face and sprayed down with scent killer. As I walked to the top of the mountain the wind was perfect. I could see the bushes he should be bedded in so I would take a couple steps and look through my 8s, then a couple more and look again to see If I could pick up an antler tip or any movement to make sure he was still there. And I was also checking in the areas around there to see if he was somewhere else. When I was about 150 yards away I picked up a buck feeding in a different bush. After watching for a minute it seemed that he was content in staying there so I planned my path to come around some bushes and wait for him to step out and hopefully shoot him. But I know Coues bucks often travel in pairs while in velvet, so I was keeping my eye on the bushes I had seen the buck earlier, just incase this wasn’t the same buck. As I was rounding the final bush where I was going to stop and wait for that buck to feed out, I stepped out onto a rock and looked in to the bush where I had seen the buck originally. There he was standing right there still feeding in that bush about 1.5 hours from when I had seen him with my 15s. So I froze, ranged him (luckily I have one of those range snap things, mine is actually home made but after sewing it onto my bino harness strap and getting the connectors, clips, etc. and doing all the work, I wished I would have just bought one) and adjusted my hand on my bow, as I did this he whipped his head up and the staring contest began. I did not move a muscle even though my left leg was shaking so bad I thought I was going to fall off the rock. He kept doing the whole head bob, foot stomp thing and taking steps toward me. After about a minute he turned broadside but was still staring at me. I was afraid to draw because I have done it with a few bucks and they are usually about 100 yards away by the time you reach full draw. So, I said a quick prayer and felt like God told me to draw. So I focused on a spot dead center of his lungs, reached full draw, quickly set my 40 yard pin and watched my arrow hit dead on and pass through him. I watched him run straight down the hill spraying blood. I thought to my self, “God, please don’t let me wake up.” Because I could hardly believe it actually happened. I went over found my blood covered Easton Axis with the Spitfire broadhead fully opened. I sat down and called my wife who was at work and my mom who was watching my 2 boys and told them I had just shot a great Coues buck. Since I didn’t hear him crash I waited for about 20 minutes. I would have waited longer but I knew the shot was a perfect double lung pass through so he had to be dead. I followed the blood trail about 100 yards and found him laying there. I grabbed ahold of him and realized how nice of a buck he really was and I was extremely excited and thankful. Then I took a few pics, called someone to help me pull him out, pulled him into the shade to gut him. My friend arrived and we got him to my truck. I brought him to the Mogollon Taxidermy and had him caped out. Then brought him home and took care of the meat. The equipment I used for this hunt was: 2013 Bowtech Experience set at 64#s (just got his new bow after a few years of shooting a Diamond and it is amazing), Easton Axis 340s, Spitfire Broadheads, Black Gold 7 pin Sight, Carter Release, Vortex Viper 15s with a $45 Dolica photography tripod (works great), Bushnell Legend 8s, Wildgame Innovations 900 yard angle compensating rangefinder, cheap camos, 84 Toyota 4runner. Thanks to: God who is the ultimate hunting guide, my wife for always letting me go out and always shoots bows with me, my mom for watching my kids, Isaac for helping pull this deer out (even though he almost had a heart attack), Jeremy at Chasin a Dream Archery shop who always has great products and helps me with tuning and servicing my bows, and Coueswhitetail.com members for all the knowledge I have learned through reading your posts. Hope you enjoyed the story. Hey does any one know about hunting powers garden in southern AZ? I'm trying to figure things out if anyone knows anything about it would help!!! Thank You and Hunt Hard GBB Nation!!! Hi All! I just finished the write up on my Javelina season! I would love for you to check it out and join the site if you like. Also, check out some of my previous posts. Lots of cool pictures and videos! I'm always looking for sponsorships no matter how small or big.  I will also post any companies logo on the site, no strings or compensation ecpexcted at all to help those in the same boat as I, just message me. Message me with any questions! HAPPY HUNTING CWT FAMILY! Hey everyone I need your help. I am posting on all forums about this PLEASE keep your eyes and ears open for anyone who may have recently come up/found/stole a Quest Primal Hunting Bow today at Ben Avery Archery Range in Phoenix, Arizona. It was lost/stolen between 10am and 1230pm today at the range. A person I would like to talk to that was there was driving a silver Dodge Ram 4x4 with a rear window decal for Hunt Africa with an AZ phone number. They were the only ones at the range today beside me while I was there and would like to know if they seen anything or may have taken it thinking the owner left it, hopefully with the intention of finding the rightful owner. This is very important to me as it was gift from my father and I have an upcoming Bull Elk hunt this September . PLEASE PLEASE if you here anything coming out of AZ let me know. Thanks.